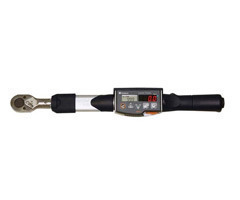 - Ideal for tightening and quality inspections. - For bolt tightening or re tightening inspection. - Digital viewable dual display (LED & LCD). Venus brand premium wrench drop forged special ISI specified steel. Hardened & tempered to withstand static / shock loads with high torques. We are the most trusted name engaged in offering a wide range of Adjustable Wrench. Our offered wrench is used with different sizes of fastener head. This wrench is manufactured by quality material & leading techniques in compliance with industry norms. Riding on vast volumes of expertise in this arena, we are occupied in offering Deep Offset Wrenches. - Classified to DIN EN ISO 6789:2003 Type II Class A, with a factory certificate. Working accuracy: +/- 3 % tolerance of scale set torque. The specification of the standard(+/- 4 %) is exceeded. The Phosphate Wrench is widely used for various domestic as well as small industrial applications. ThisRing End Wrench is used fasten nut and bolts. Owing to provide quality purpose products to our customer’s. 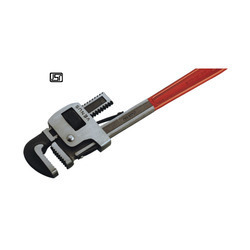 We offer chain pipe wrench which is best rated product of our manufacturing industry.